Let’s talk tiny kitchens. I see you, fellow apartment dwellers. If there’s one thing that drives me crazy about my NYC apartment it’s the lack of storage and counter space in my kitchen. I love to cook but it can be frustrating in such a small space. Luckily, I’ve found a few tricks along the way to maximize square footage. If there is a collapsible version of anything, that’s the one I choose. I rely on a dish rack since my tiny kitchen doesn’t have a dishwasher, but I hate seeing it out in the open when it’s not in use. I love that this one pops into a smaller size to store under the sink when I need to free up space or have guests over. Anything that nests is also your friend. My nesting bowls and glasses save a ton of precious cabinet space. Don’t be afraid to use verticle space as well. Pots and pans are convenient to reach, yet out of the way, when they’re on a pot rack instead of in a cabinet. Magnetic organizers for things like spices or knives help make full use of wall space and are great when you’re low on drawer space. I also look for things that are multipurpose. Instead of a toaster, I have this mini smart oven that I’m obsessed with. 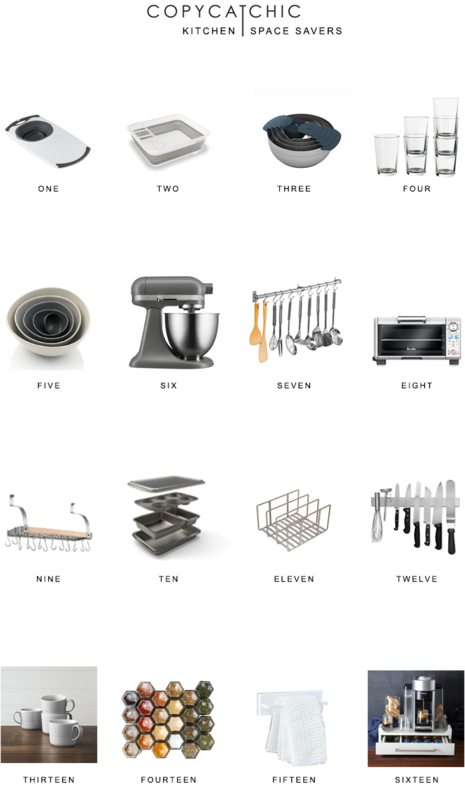 It toasts, bakes, broils, and roasts, all without taking up much space. It’s also a great alternative to turning on the oven when I’m just making something small. My final tips apply to any small space: stay organized (this will help!) and stick to a color palette. It’s easy to acquire a lot of random kitchen things that don’t necessarily look good together, but this can be avoided by keeping one or two colors/finishes in mind. Whew, that was a lot! Any tips/tricks I missed? 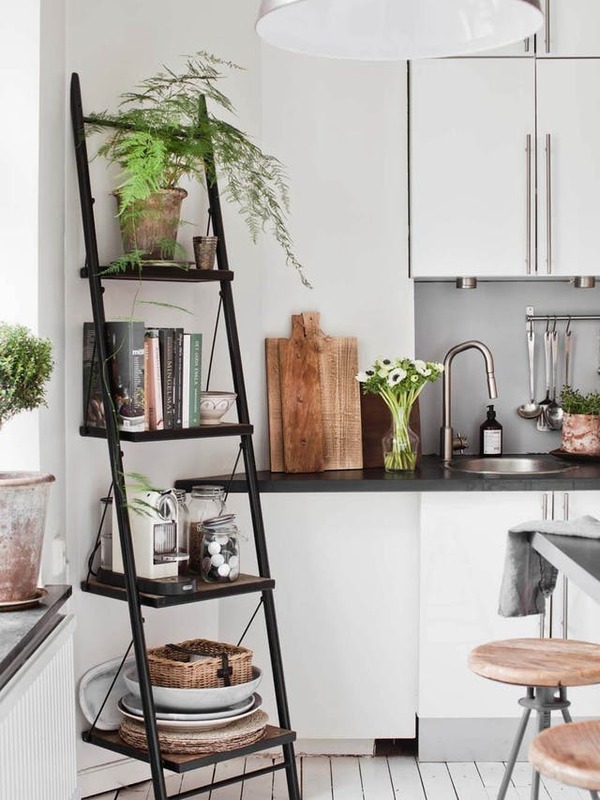 Let us know your favorite kitchen space savers in the comments!